Welcome your guests in style with stunning front doors from Malvern Glass. Your Worcester home will benefit in countless ways with our superior residential doors. 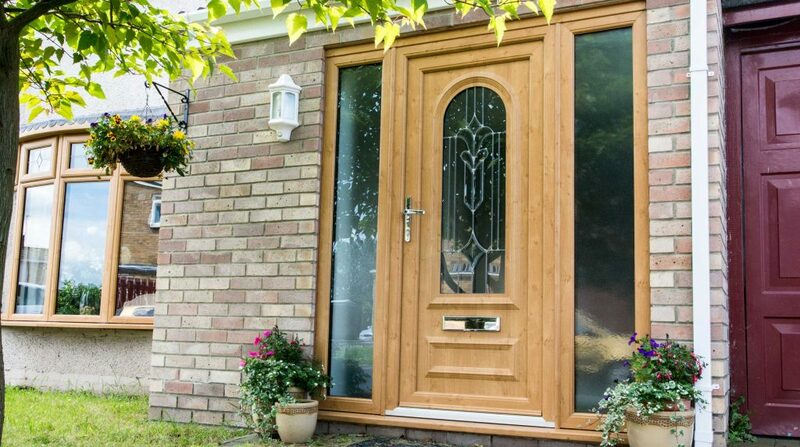 Our front doors collection includes uPVC doors and composite doors for your Worcester home. Working with Veka means that we can offer quality and outstanding performance at affordable prices, making these doors the preferred choice of many homeowners. Every door comes in a wealth of panel designs, all of which can be tailored with colours and hardware to meet your every requirement. Stylish and charming, Veka front doors are a superb choice for your home improvements. Malvern Glass are proud to work with Bereco offering high end timber front doors to Worcester homeowners. These exquisite doors give you the elegance and charm of traditional craftsmanship complemented by modern double glazing developments. They are superb for insulation and security and they provide a stunning entrance to your home, creating a luxurious entrance to complement your individual style. We work with the leading manufacturers Residence 9 and StyleLine to give our customers in Worcester a choice of premium front doors. These double glazed residential doors are a luxury and authentic alternative to wooden doors, matching the stunning beauty of timber, while offering exceptional qualities unique to uPVC technology. These entrance doors blend with period features and enhance the character of modern homes. They offer incredible performance qualities, unrivalled by any other front doors in the industry. Our installation team are highly trained and experienced, ensuring your double glazing installation is smooth and stress-free. We meet the highest standards in all our home improvements, ensuring the quality of the front door you choose is matched by our fitting techniques. When you choose Malvern Glass for your new front doors in Worcester, you will benefit from our superior customer service. We pride ourselves on helping our customers, and we never use hard-sell techniques, so you can be confident you are getting what you want for your home improvements when we are your double glazing installer. Malvern Glass are fully accredited, so you’ll have peace of mind that our work meets the highest specifications, in line with Building Regulations. All our work is covered by insurance backed guarantees too, so you know that in the unlikely event of something going wrong with your double glazing, we will help. Our front doors, whether you choose uPVC, composite or even timber, are precision engineered using the latest innovations in double glazing. This means that you can expect superior performance with cutting edge developments and technology. Keep your home warmer this winter with our front doors in Worcester. Every door achieves, if not exceeds, the standards for energy efficiency set by Building Regulations. There will be no draughts or leaks from our front doors, and your home will be warmer and better protected against the elements with new double glazing. When it comes to security, our front doors truly excel. Every door in our collection is sturdy and robust, designed for strength and toughness. This is then enhanced with state of the art advanced locking mechanisms, which will help you achieve fantastic security. With our front doors installed into your home, you can have peace of mind, knowing that your Worcester property and family are thoroughly protected against unwanted visitors. At Malvern Glass, we understand that you don’t want to spend your free time on endless upkeep of your double glazing. This is why we only install premium doors into Worcester homes, allowing you to enjoy double glazing which requires very little intervention. Our front doors need the bare minimum of care to ensure that they look and perform at their best year after year. They are crafted for durability and are a cost effective, long term option for your home improvements. Front doors prices in Worcester from Malvern Glass are superb. We offer a vast range of options so that you can create a new entrance to your home, tailored to your tastes and your budget. We have a great online door designer which lets you design your perfect front doors and get an idea of the costs. If you prefer, why not contact us? Our friendly team are here to help in any way we can.